PROVIDING an isolated, low noise and precise ±1% 5V dc supply is easy with these PCB mounted modules from Electus Distribution . 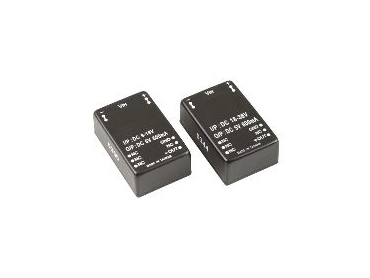 The modules offer 1000V dc isolation, have an operating temperature range of -25° to 80°C and are available with either 1 or 3 watts output capacity. The 1-watt devices require 5 or 24V dc (at ±10%) while the 3-watt models have an input range of either 9 to 18V dc or 18 to 36V dc. All models supply 5V dc @ ±1%. For full technical specifications and availability, contact Electus Distribution or visit www.electusdistribution.com.